The Dingle Bay Hotel has a private car park for guests, so, whether you are driving your own car or a rental, it’s the ideal place to start your exploration of the area. 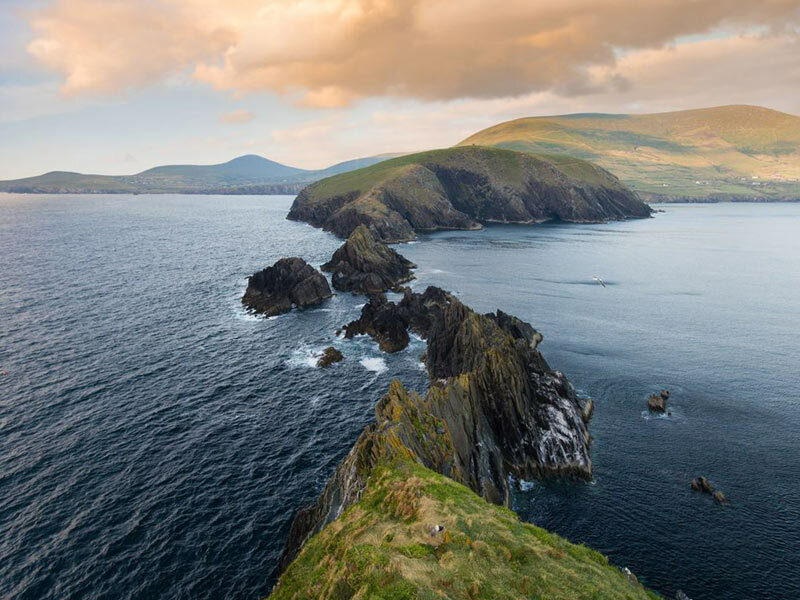 Exploring the Dingle peninsula on the Slea Head Drive (Slí Cheann Sléibhe) is the one experience you should not miss. 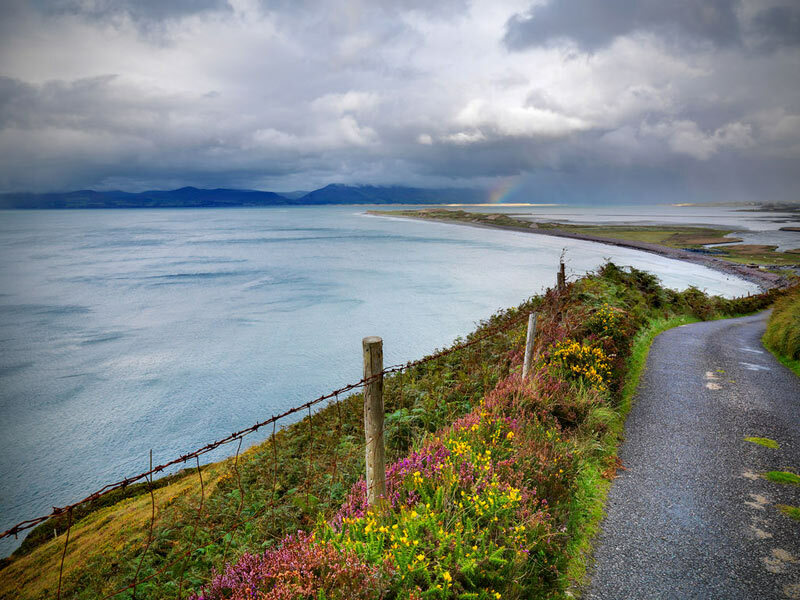 If you have time, the Ring of Kerry and the Skellig Ring are other Kerry driving routes that will make your holiday. When you look at a map of Kerry, you’ll see the Dingle peninsula pointing into the Atlantic Ocean like an accusing finger. Just below it is another, broader finger. 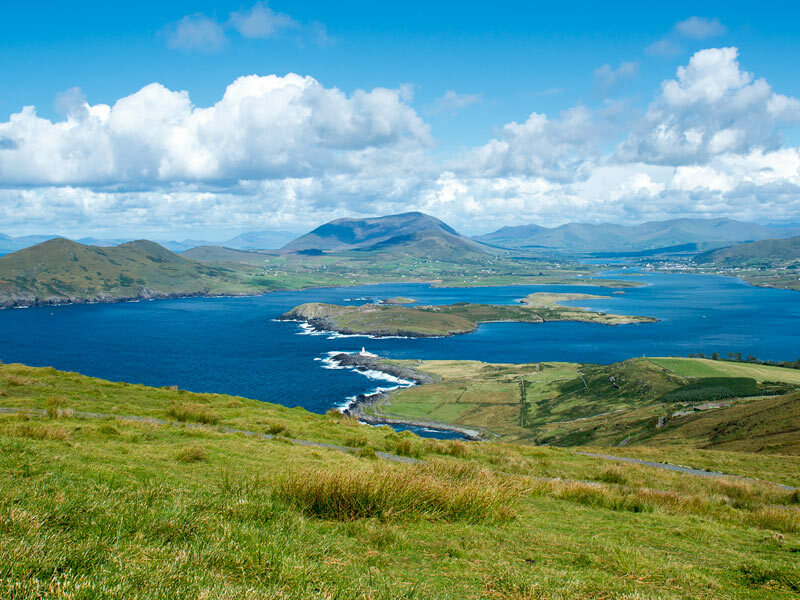 This is the Iveragh Peninsula, and you’ll make a 180km lap of its finest attractions if you decide to do the Ring of Kerry tour. 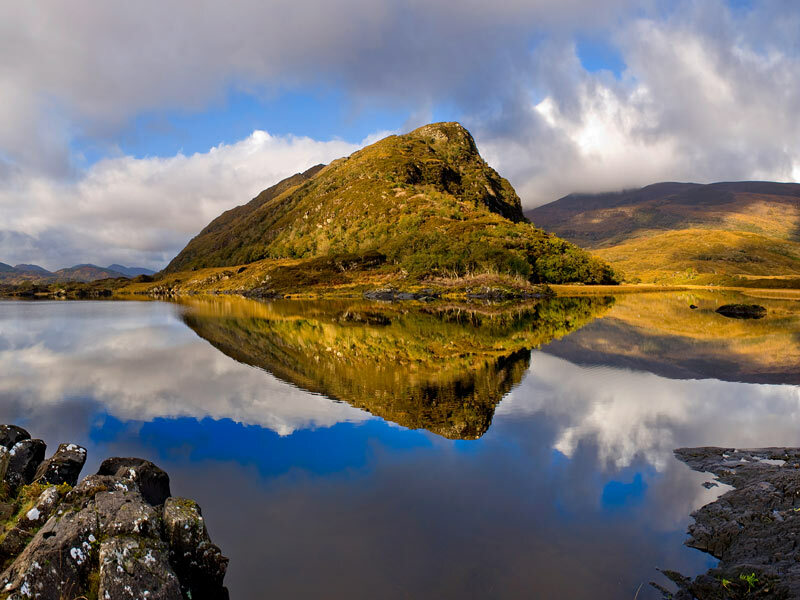 Follow views of the MacGillycuddy Reeks as you head in the direction of Killorglin and continue along the coast, taking in Cahersiveen, Waterville, Sneem and Kenmare until you arrive in Killarney. Stunning coastal views, picturesque villages and the lush abundance of Killarney National Park are just a few of the delights that await you. 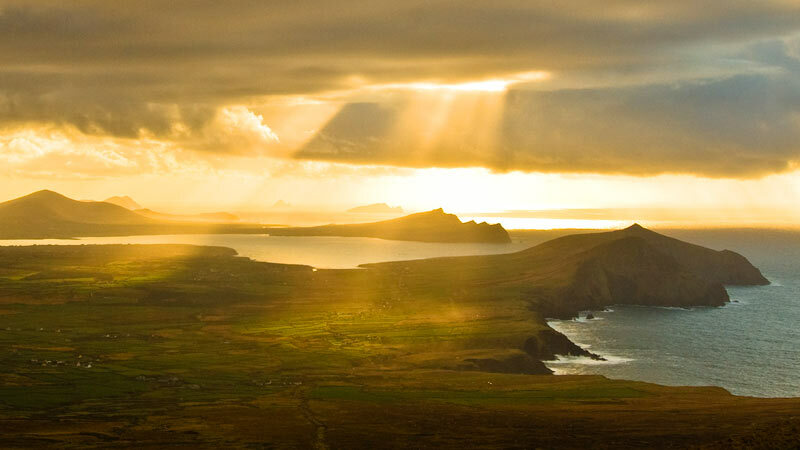 A worthwhile detour from the Ring of Kerry, the lesser-travelled Skellig Ring is an 18km route connecting Portmagee, Valentia Island and Waterville via the Gaeltacht area of Ballinskelligs (Baile an Sceilg). The soaring pyramid of Skellig Michael is never far away, its craggy outcrops home to a 6th-12th century monastery and hosts of gannets, puffins, and guillemots. It also played a starring role in two recent Star Wars films. A more accessible island is Valentia, where you’ll find stunning cliffs, fossilized footprints, and the site of the first transatlantic cable. The area is wild and beautiful, with the ragged outline of Skellig Michael never far from view. 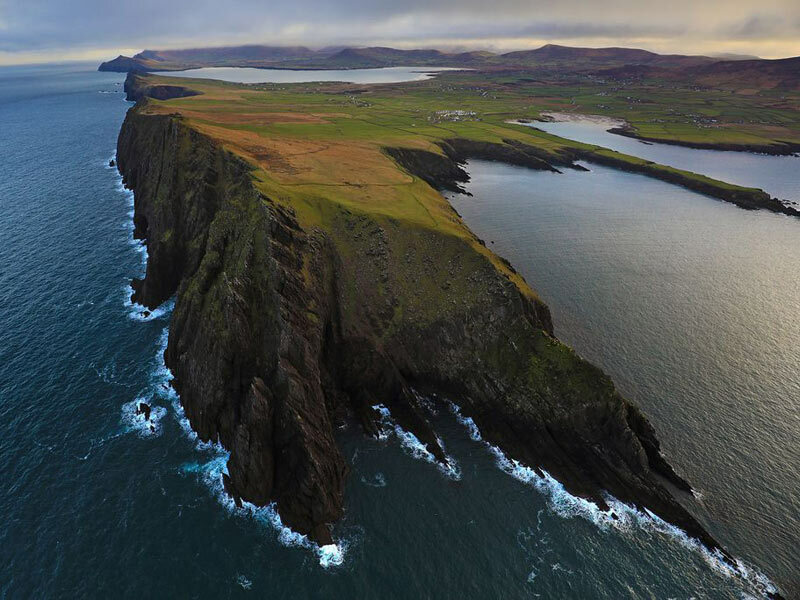 This dramatic island housed a remote monastery between the 6th and 12th centuries and is now an important site for puffins, gannets and guillemots. 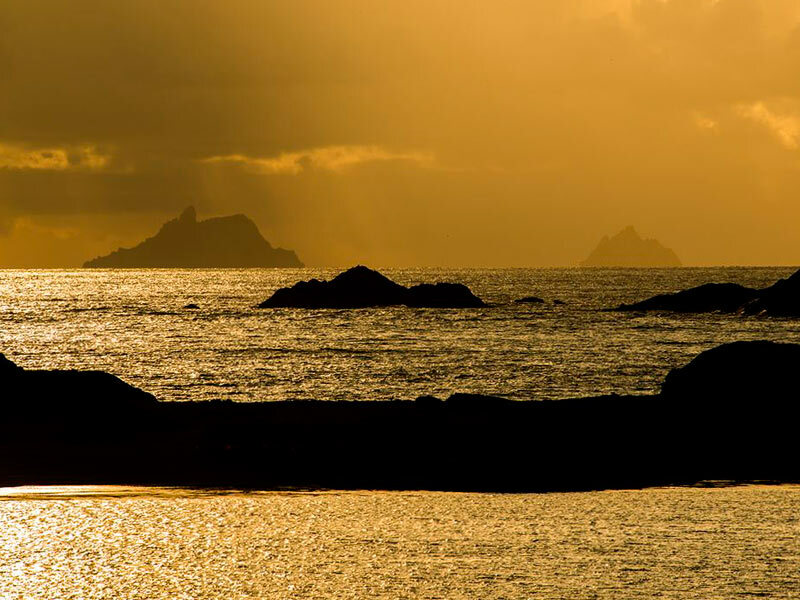 Its starring role as a location in Star Wars: The Force Awakens and Star Wars: The Last Jedi means it hogs the limelight, but elsewhere on the Skellig Ring you’ll find historic resorts, colourful houses, walking trails and a history that takes in ancient vertebrates and the transatlantic telegraph.